With an experience of hedge fund management and being the host of Mad Money on CNBC, Jim Cramer has amassed knowledge and understanding of the market. In his last episode about the power of brands, Cramer has compiled several benefits of brand and the profits one can make by investing in brands at an earlier stage. ,said Cramer in his coverage. The top three brands Cramer has an eye on includes Tesla Motors Inc (NASDAQ:TSLA), Netflix, Inc. (NASDAQ:NFLX), and Amazon.com, Inc. (NASDAQ:AMZN). Tesla Motors Inc (NASDAQ:TSLA) is the first stock in Jim Cramer’s list and the stock is trading near its 52-week high at the value of $259.96. Tesla Motors Inc (NASDAQ:TSLA) reported its second quarter results on July 31, 2014 with revenue of $769 million and net loss of $62 million or $0.50 per share. The company has a market cap of $32.40 billion. D E Shaw has the largest stake in Tesla Motors Inc (NASDAQ:TSLA) with his investment of $385 million at the end of the first quarter of 2014. Click here to see the list of the other hedge funds which has investments in Tesla Motors Inc (NASDAQ:TSLA). Netflix, Inc. (NASDAQ:NFLX) is another company that witnessed an increase in its share prices, especially after CEO of Netflix, Reed Hastings, announced that the Netflix, Inc. (NASDAQ:NFLX) surpassed the quarterly revenue of HBO. The company recorded revenue of $1.34 billion with earnings of $1.15 per share for the second quarter. 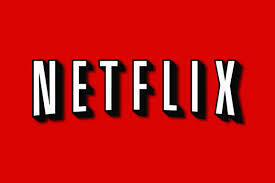 Netflix Inc has a market cap of $27 Billion and P/E of 134.19. Amazon.com, Inc. (NASDAQ:AMZN) is another company in Cramer’s list and the company is now the #26 largest company in terms of market capitalization replacing Citigroup Inc. (NYSE:C). Amazon.com, Inc. (NASDAQ:AMZN) registered net sales of $19.34 billion with net loss of $126 million for the second quarter. The company has a current market cap of $148 billion. Eli Lilly and Co (LLY), Apple Inc. (AAPL), Netflix, Inc. (NFLX): Top 3 Stocks of Weatherly Asset Management L. P.